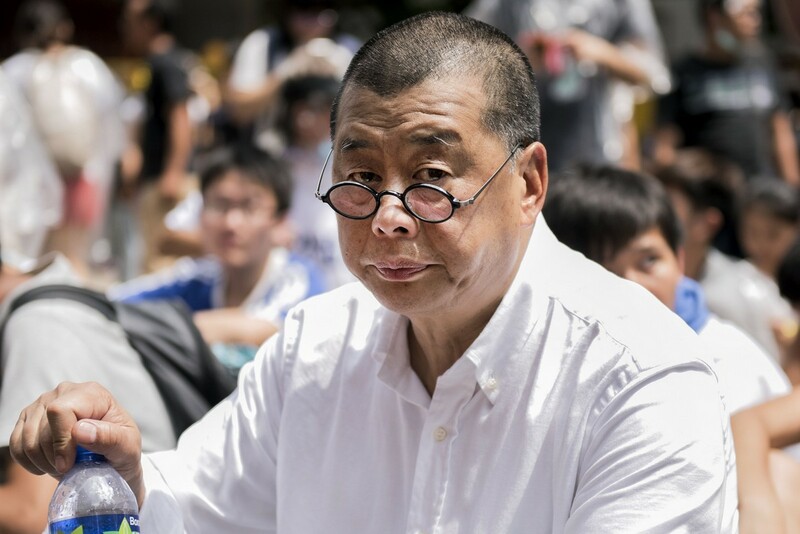 Jimmy Lai has been financing the pro-democracy movement in Hong Kong. 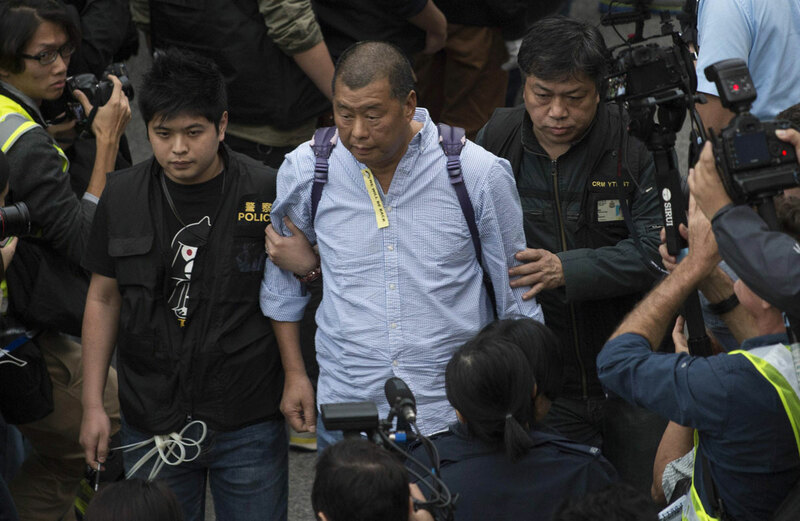 HONG KONG - Hong Kong publishing tycoon Jimmy Lai, an outspoken critic of Beijing, has stepped down as editor-in-chief of the popular Apple Daily after being arrested for refusing to leave a key pro-democracy protest site in the centre of the city. 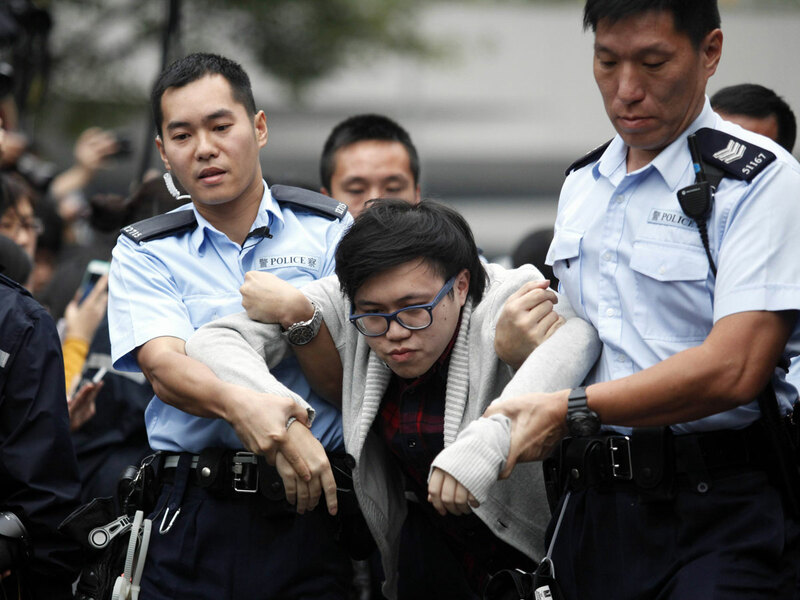 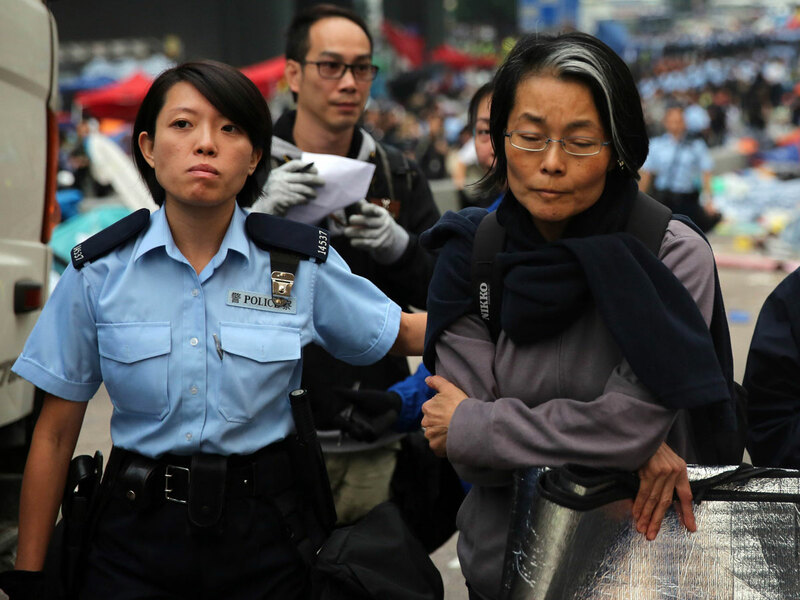 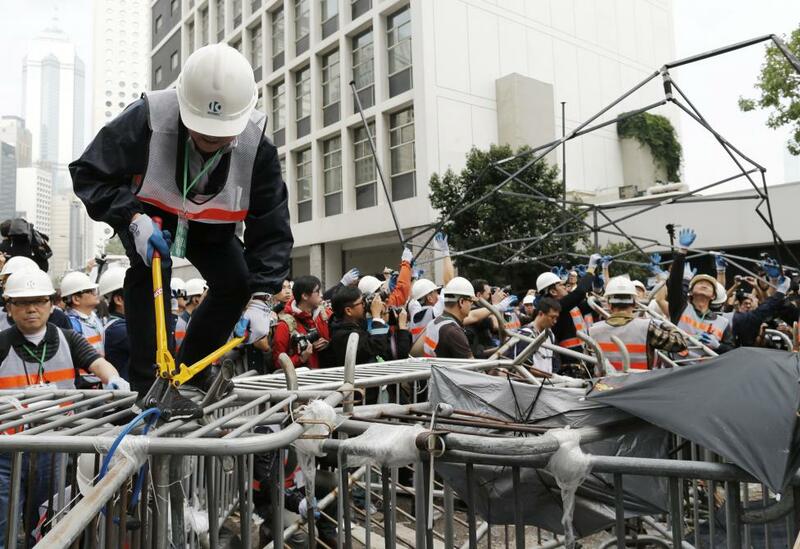 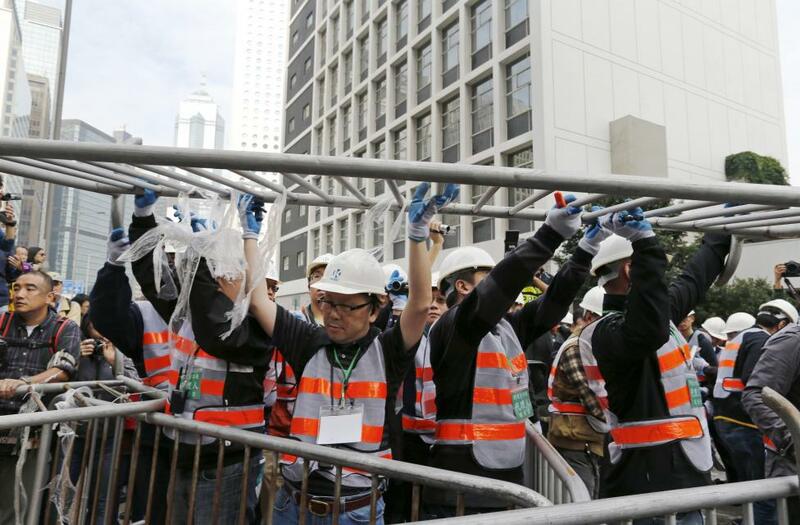 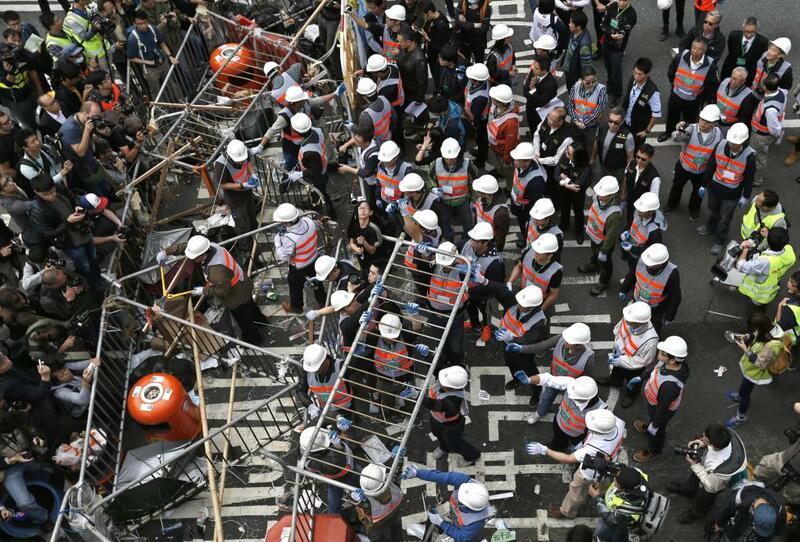 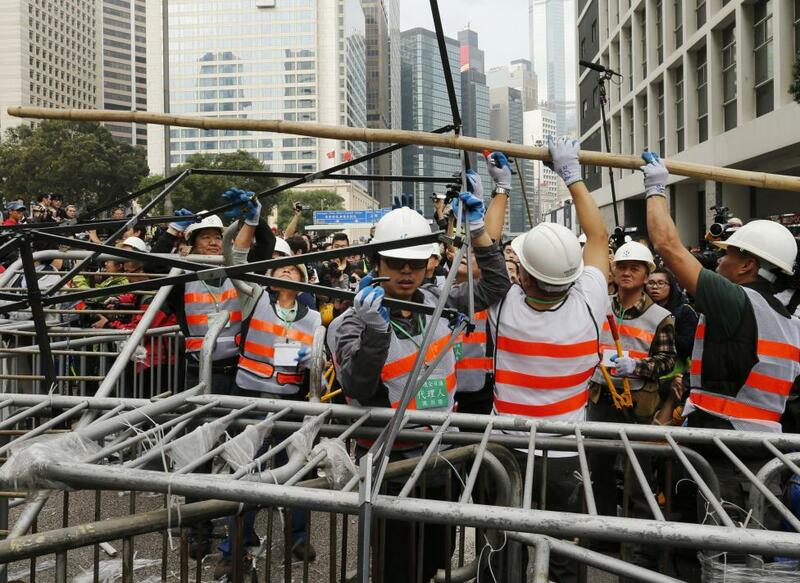 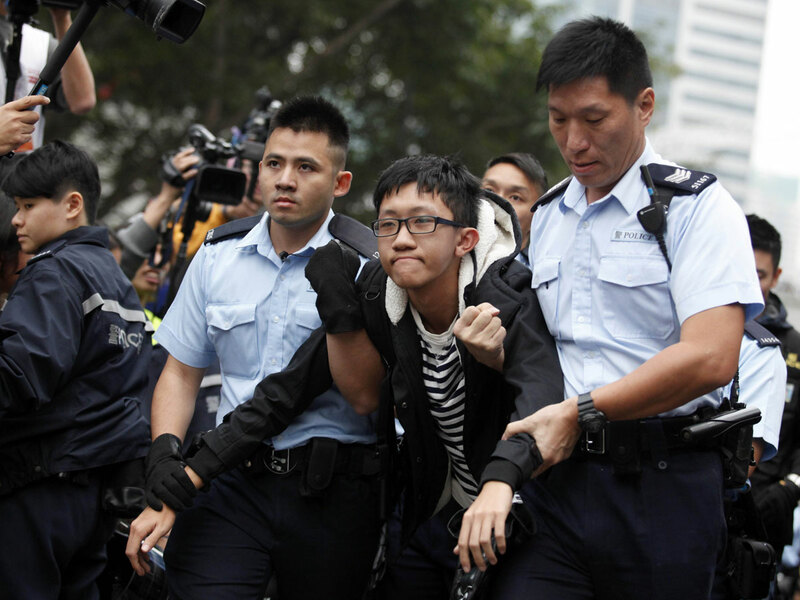 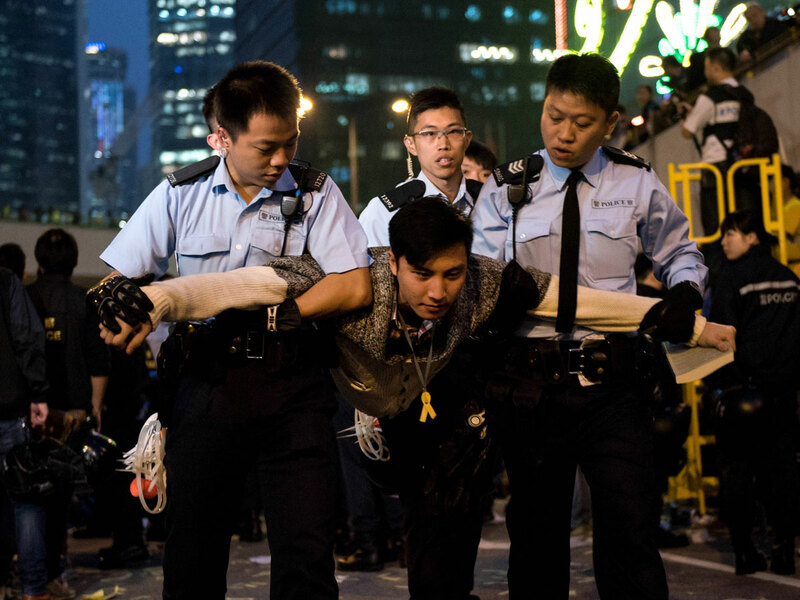 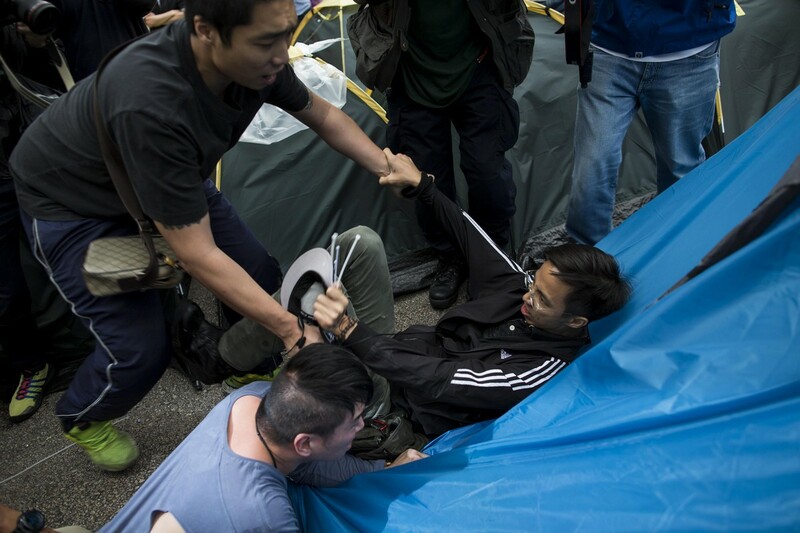 Hong Kong police arrested nearly 250 activists on Thursday and cleared most of the main protest site near the Central business district, marking an end to more than two months of street demonstrations in the Chinese-controlled city. 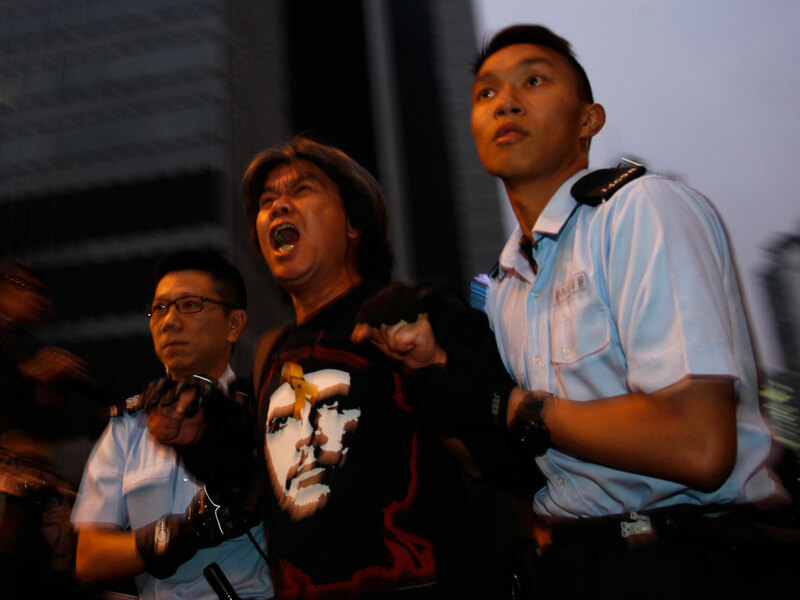 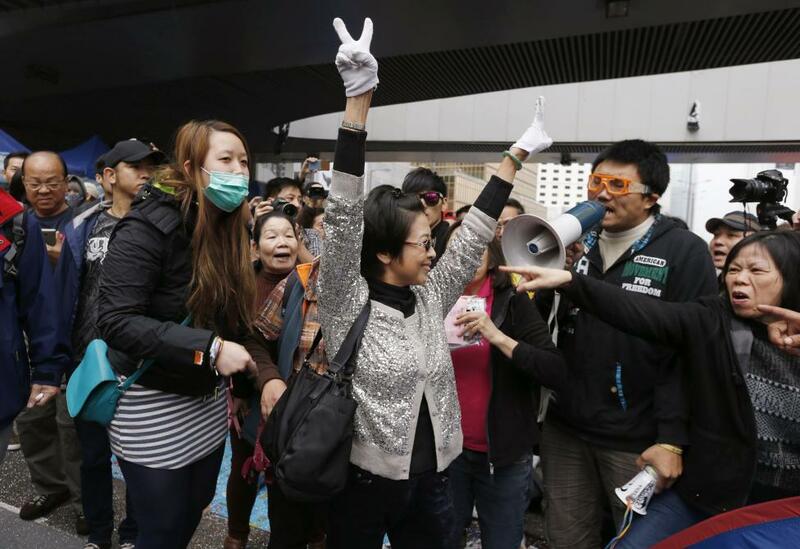 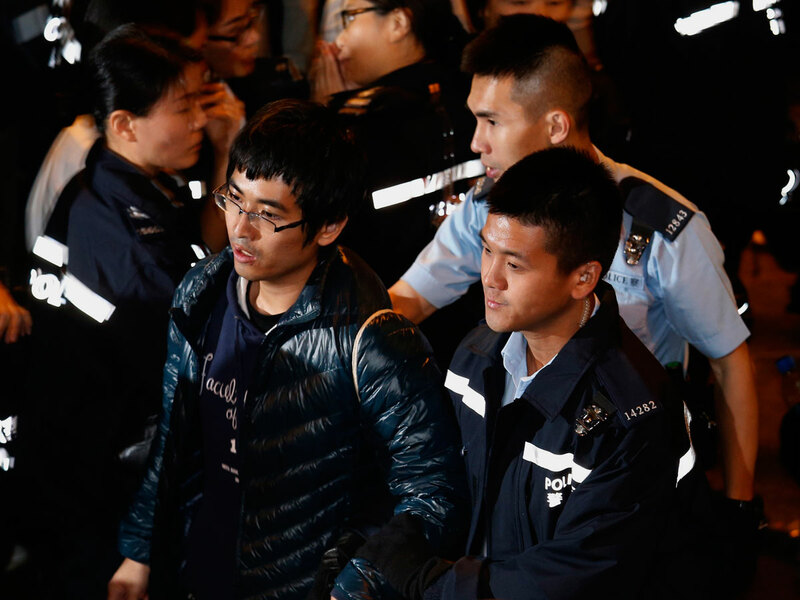 Public broadcaster RTHK said on Friday all of those arrested, including Lai, had been released. 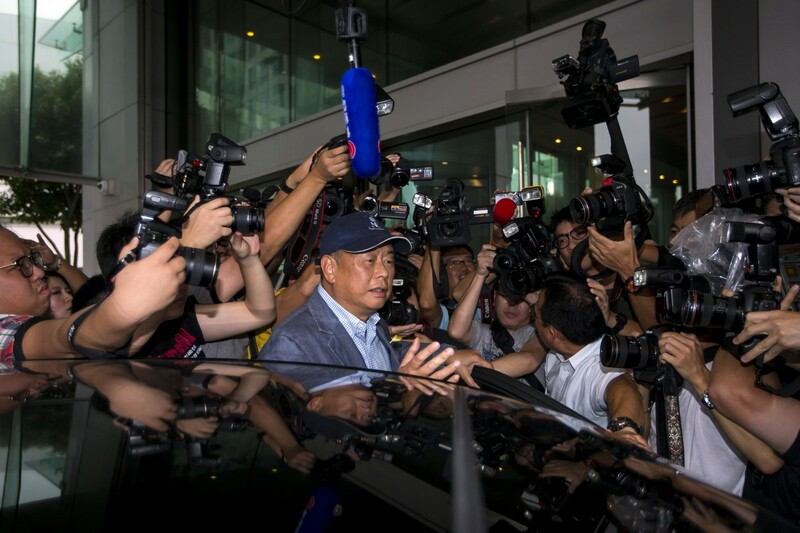 Lai, a self-made millionaire, has been the main financial patron of the pro-democracy movement since Hong Kong's 1997 handover to Communist Party rulers in China. 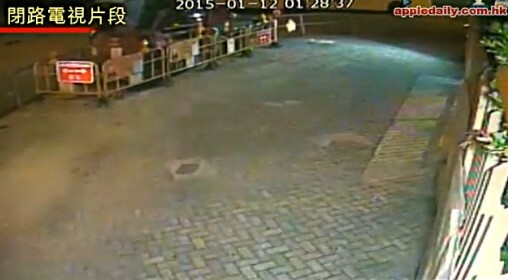 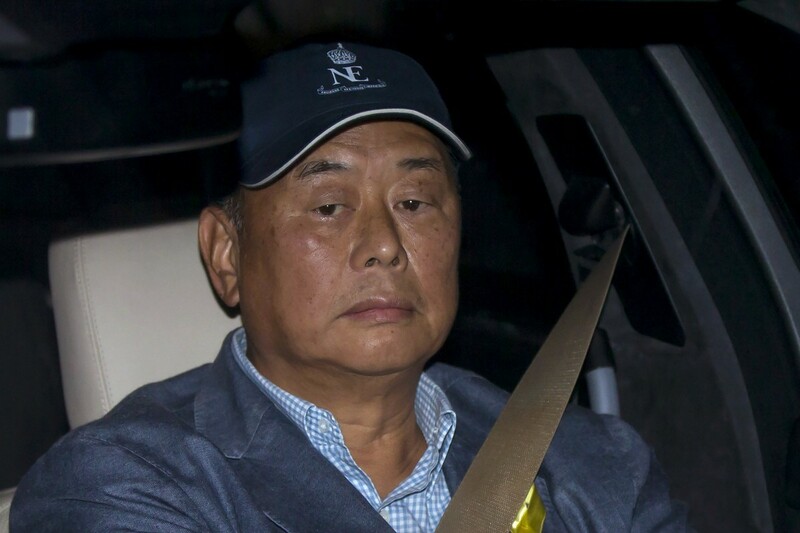 "Jimmy Lai was taken away around 5 pm (on Thursday). 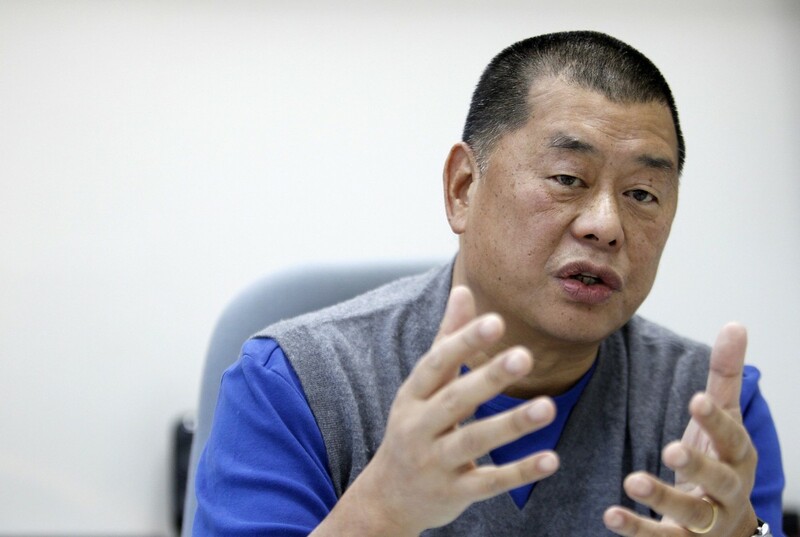 Jimmy Lai also resigned as editor-in-chief of Apple Daily, and Next Media's Print Media CEO Ip Yut-kin will succeed (him)," a video clip shown on Apple Daily's website said. 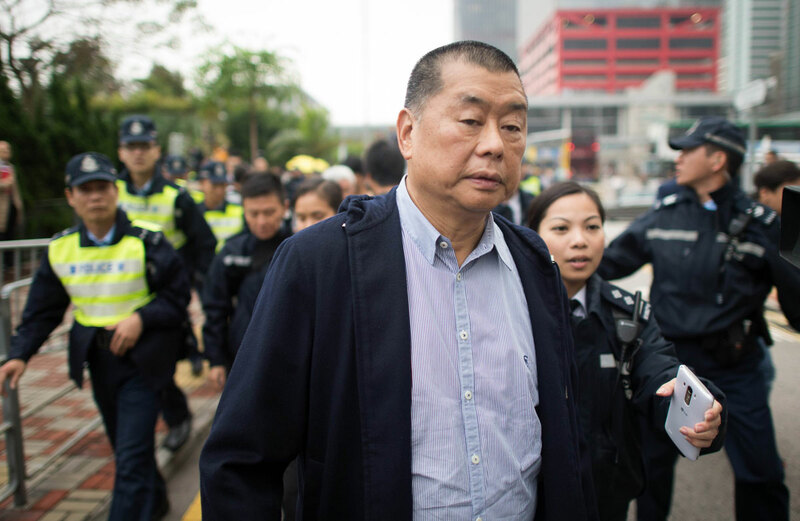 The home and former offices of Hong Kong media tycoon Jimmy Lai, an outspoken critic of Beijing who also played a prominent role in large pro-democracy protests last month, were firebombed early on Monday, a spokesman said. 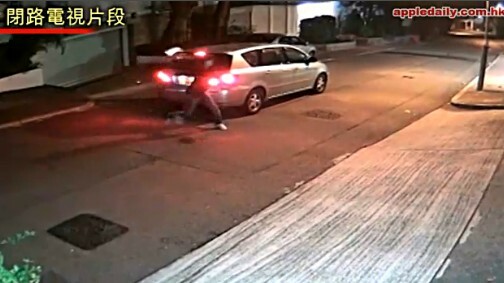 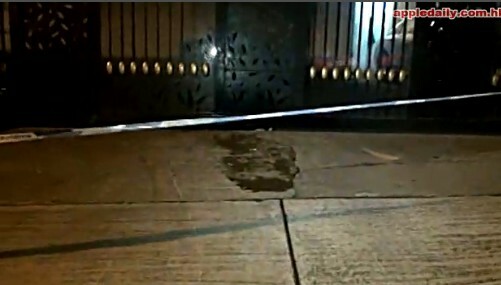 The first attack took place around 1.30 am local time (1730 GMT Sunday) when an unknown car reversed up to Lai's house and threw an object that exploded into flames when it hit the gates. 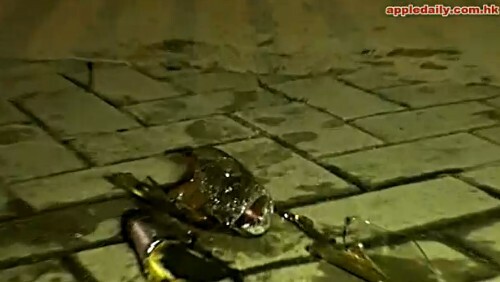 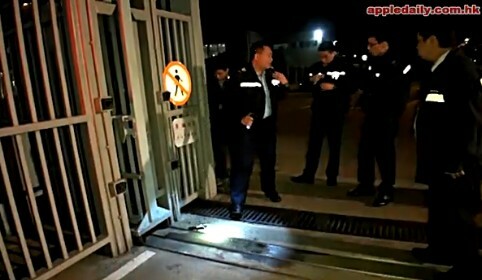 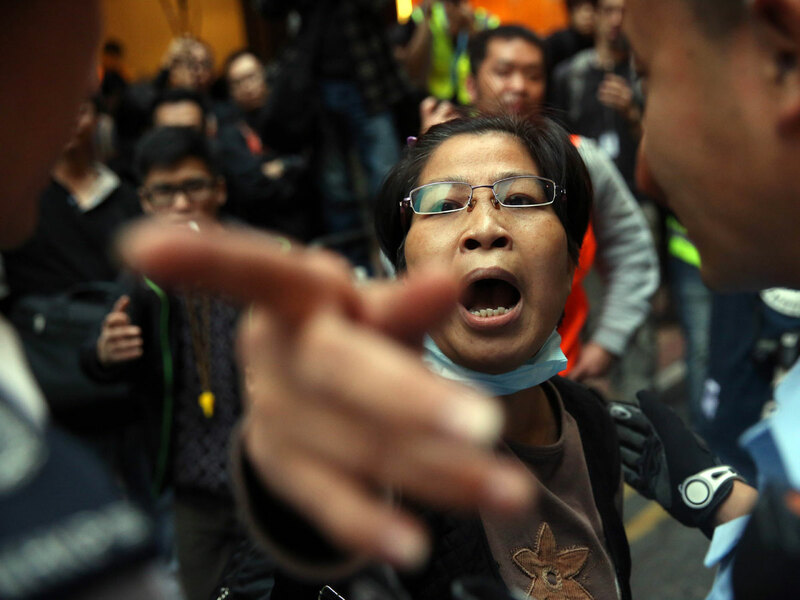 About 20 minutes later, one or two other incendiary devices were thrown at the gates of Next Media Ltd.
"This is a continual effort to try to intimidate the press in Hong Kong," said Next Media spokesman Mark Simon. 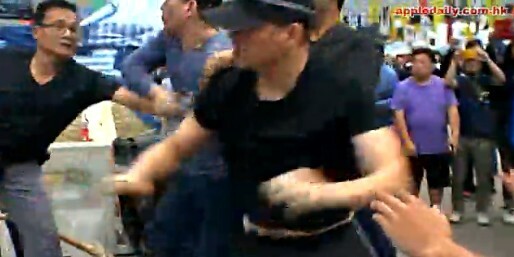 "This is raw and pure intimidation." 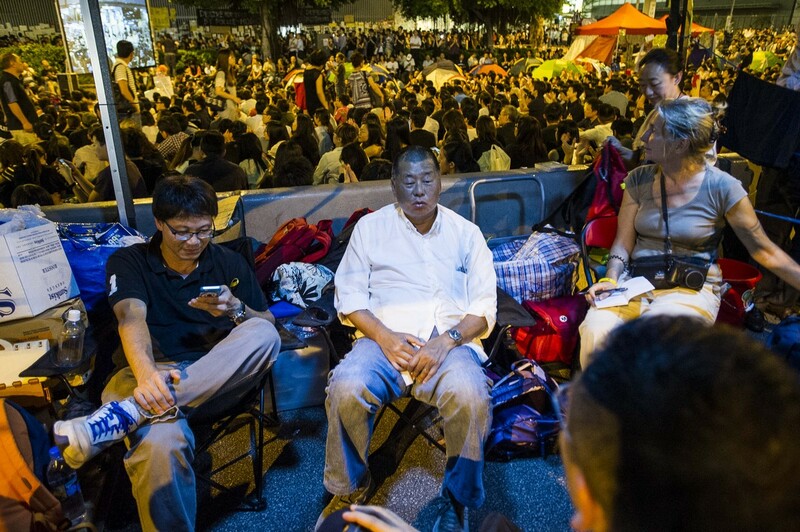 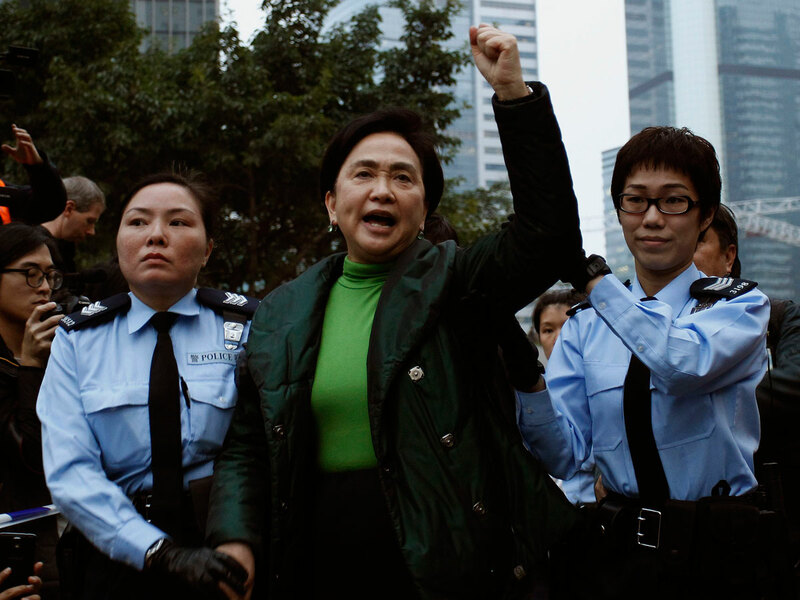 A self-made millionaire, Lai is a long-time supporter of Hong Kong's democracy movement. 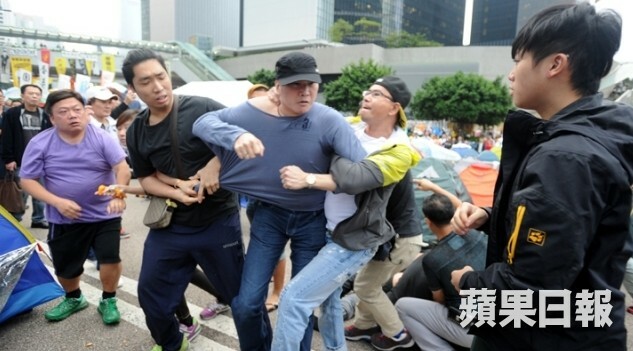 This is not the first time he and Next have come under attack. 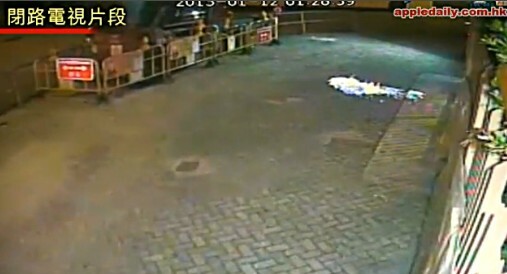 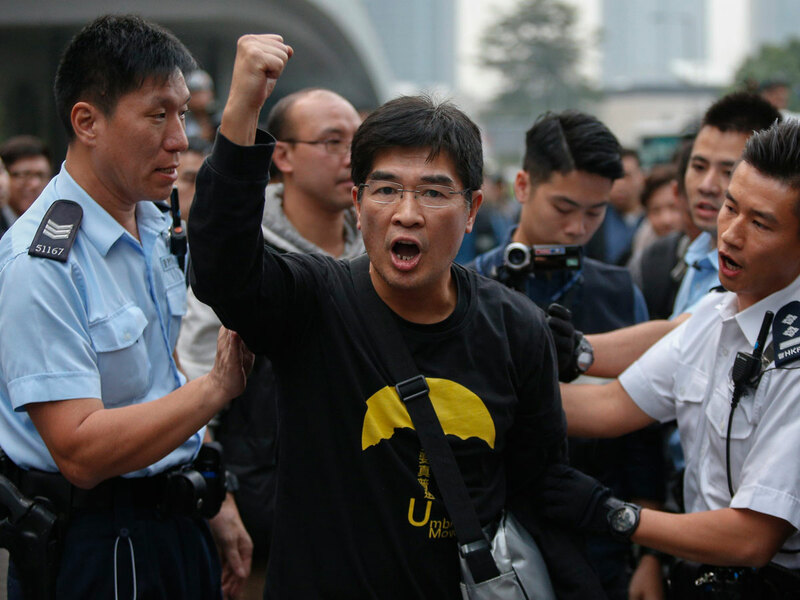 In 2013, masked men torched tens of thousands of copies of two Apple Daily editions at distribution points. 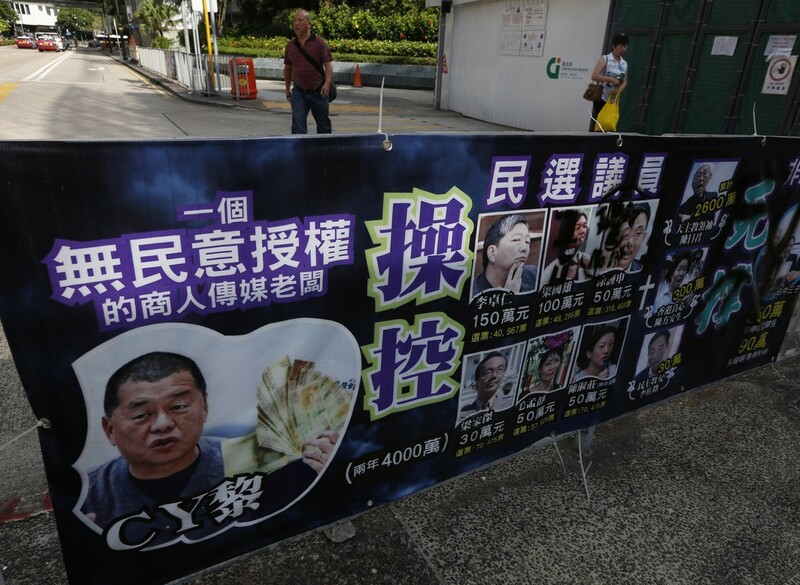 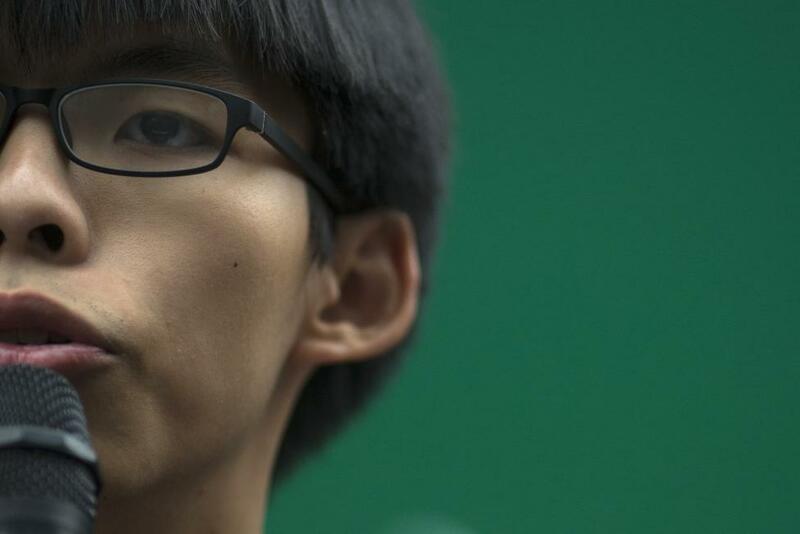 An outspoken Hong Kong pro-democracy media mogul was attacked in Nov 2014 by a group of men who threw bags of rotten animal organs at him, according to his spokesman and witnesses. 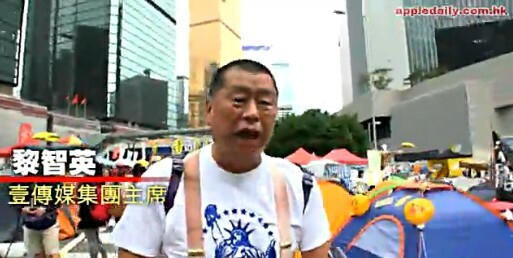 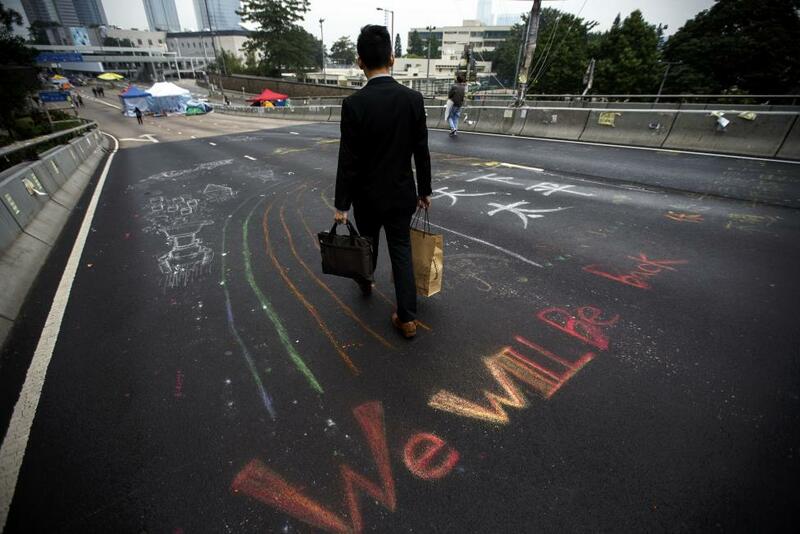 Jimmy Lai walking the streets of Hong Kong where the demonstrators are camping out. 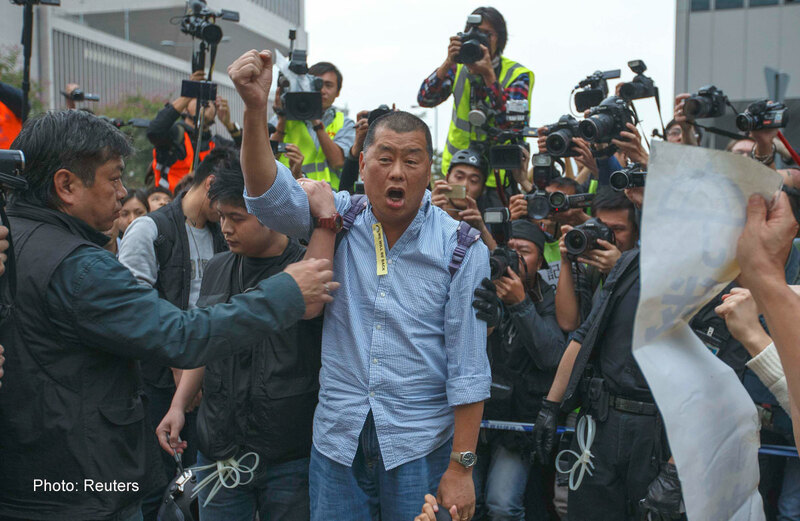 Jimmy Lai owns Next Media - which runs the Apple Daily newspaper and website, often publishing articles critical of Beijing - and had been visiting the city's main pro-democracy protest site in the Admiralty business district. 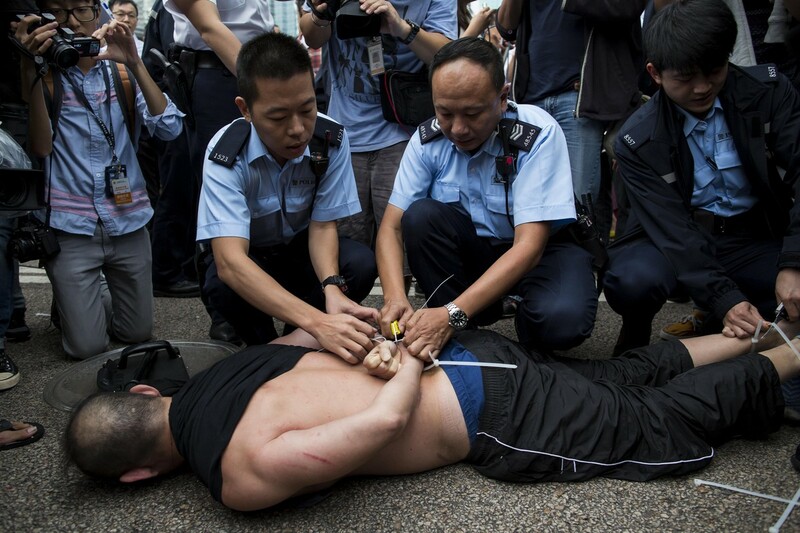 "They threw pig intestines at him. 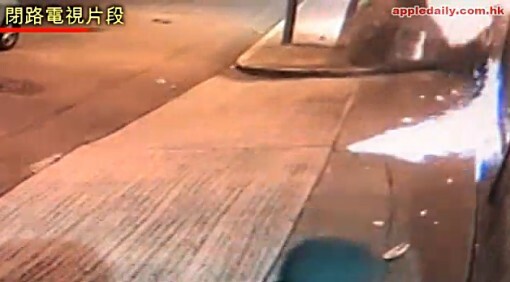 I think it was three guys," his spokesman, Mark Simon, told AFP adding that 66-year-old Lai had escaped unhurt. 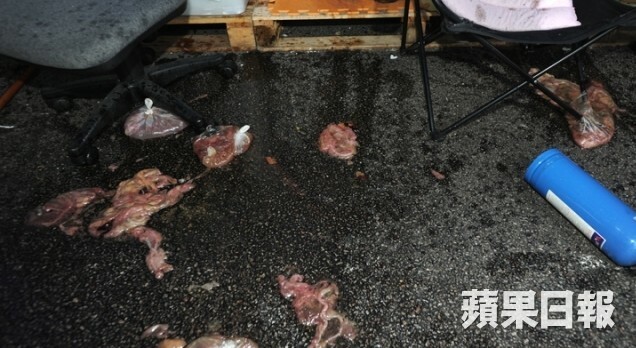 Witnesses told how three men arrived carrying a suitcase and started throwing stinking plastic bags filled with putrid brown animal organs at Lai on Wednesday afternoon, as one of them shouted: "Go die". 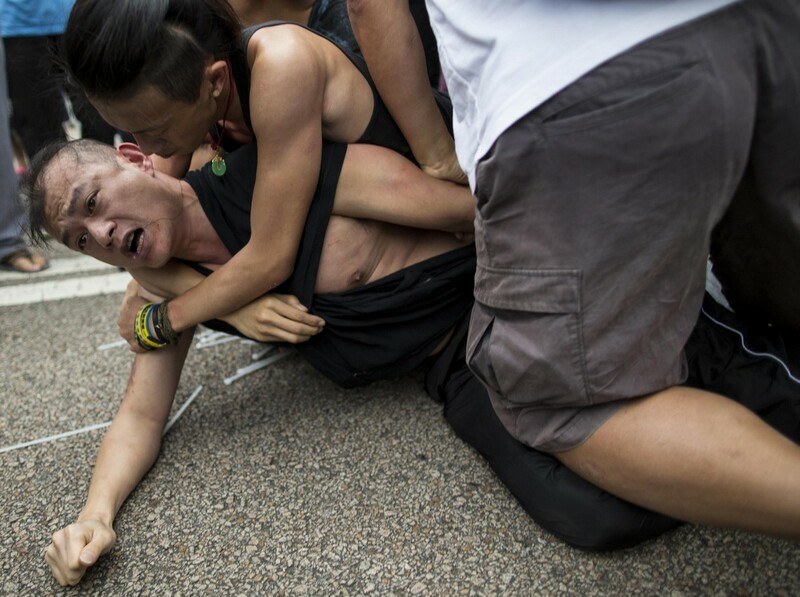 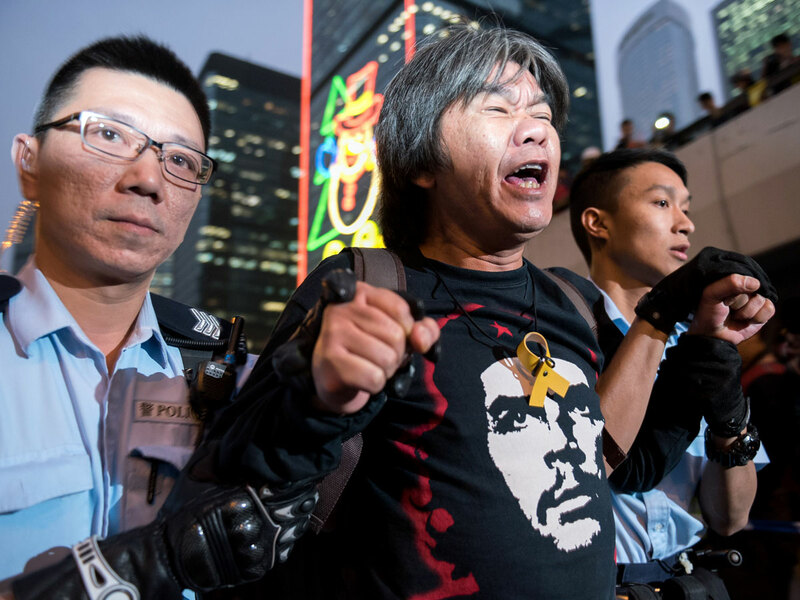 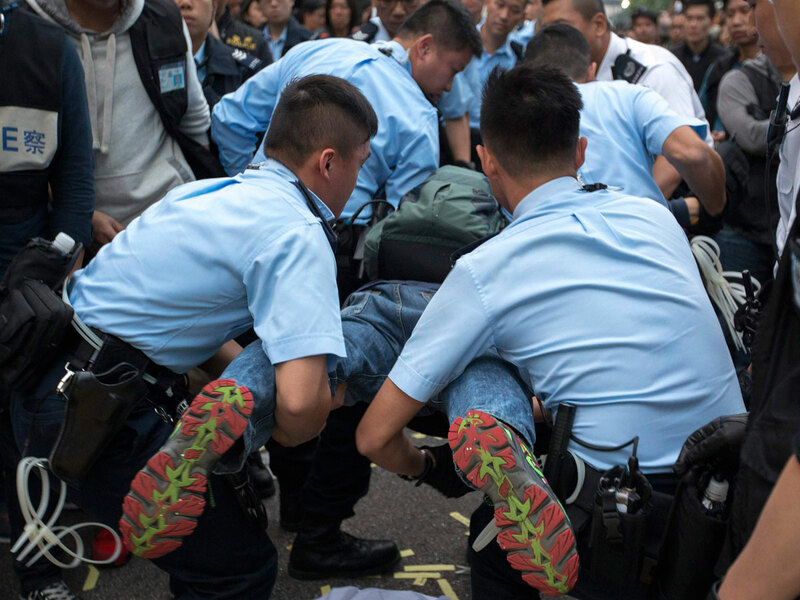 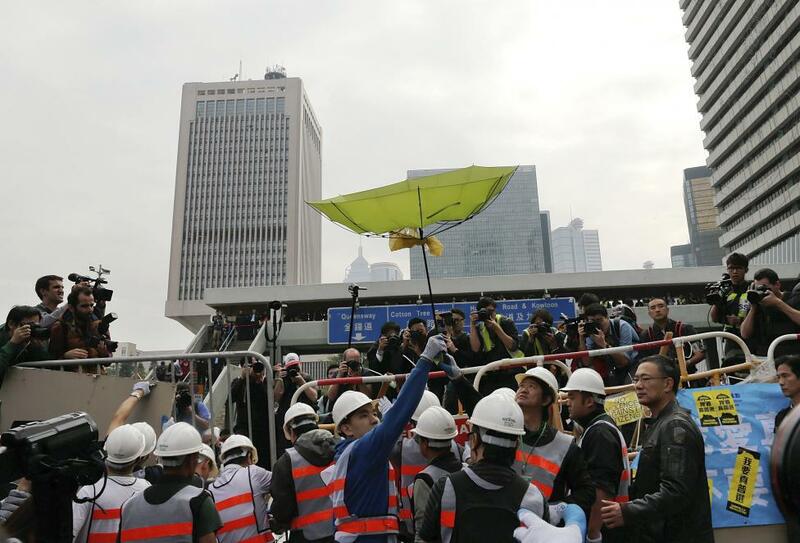 "(It) was evident Lai was the target of the three men... (the bags) hit his head and his body," Alex Kwok, one of the volunteer marshalls who safeguards protesters at the Admiralty site, told AFP. 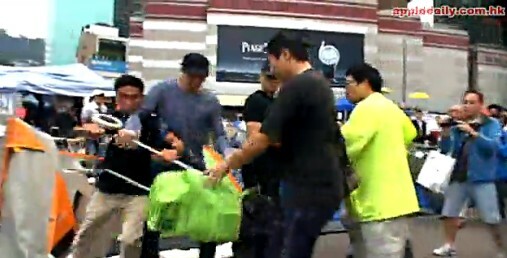 "We marshalls immediately tried to stop them. 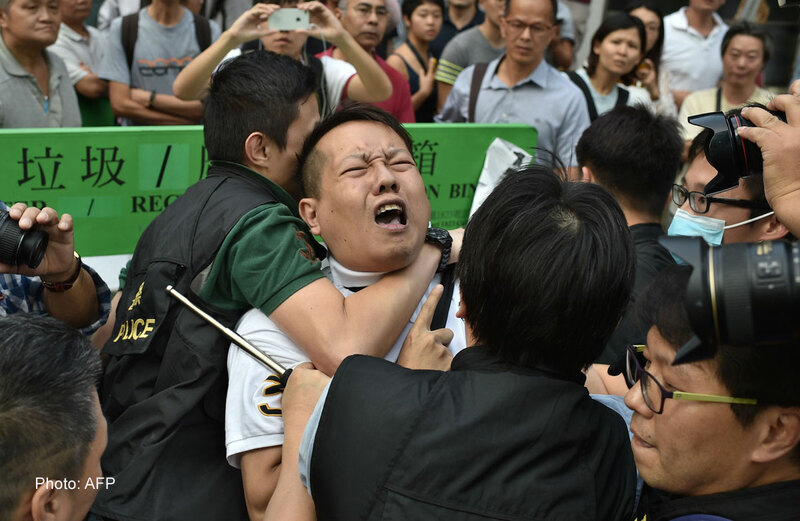 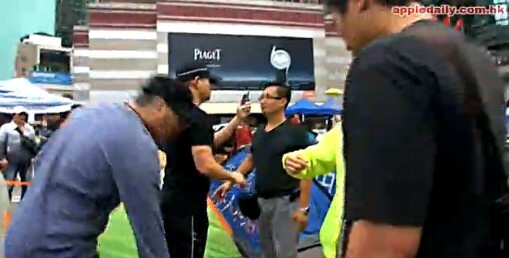 Afterwards, some citizens came to help and three started beating the marshalls including myself," added Kwok, who had a light bruise under his left eye. 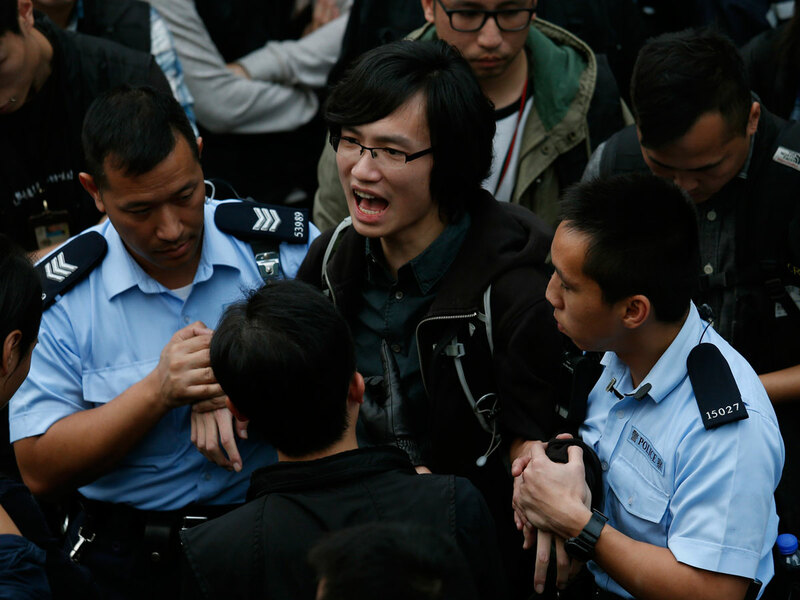 Fears over the erosion of press freedom in Hong Kong have grown following attacks on journalists earlier this year. 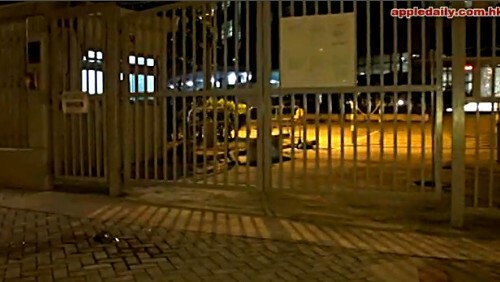 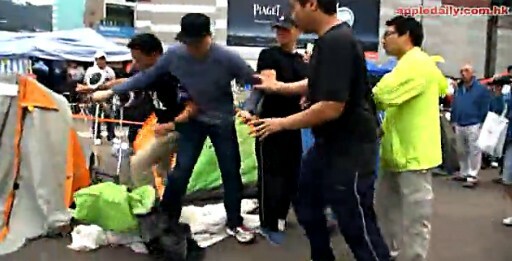 Apple Daily's headquarters have been targeted during the democracy protests by unidentified anti-Occupy groups shouting and blocking distribution lorries. 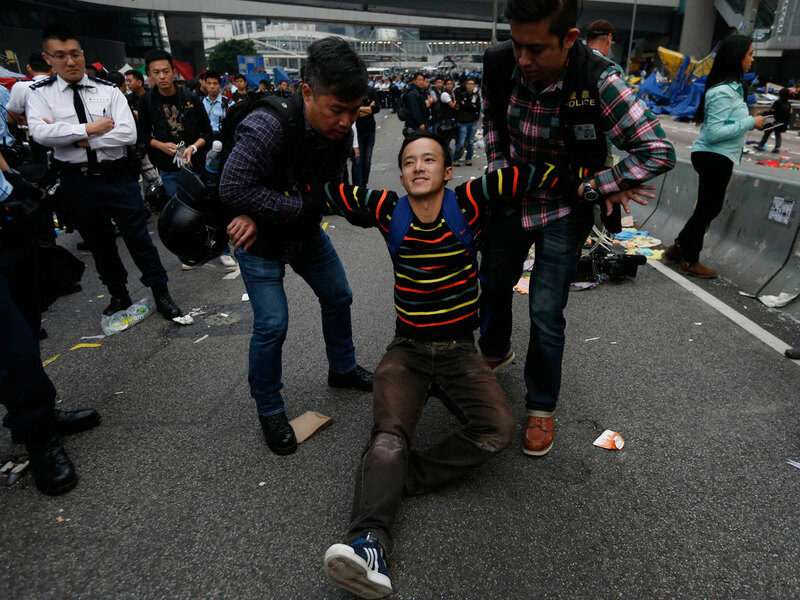 Several major roads have been blocked for more than six weeks by pro-democracy protesters calling for fully free elections for the city's leader in 2017. 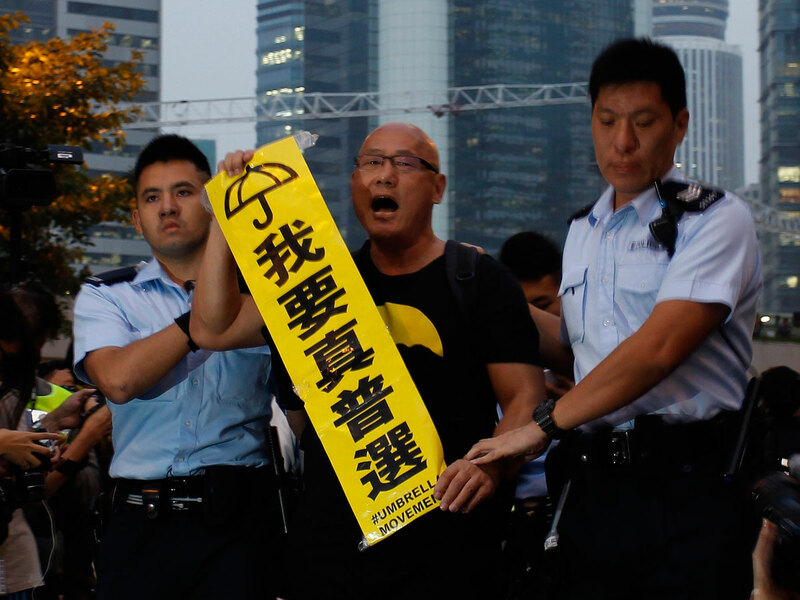 Next Media Ltd (0282.HK: Quote, Profile, Research, Stock Buzz) publishes Next Magazine and the pro-democracy Apple Daily tabloid newspaper. 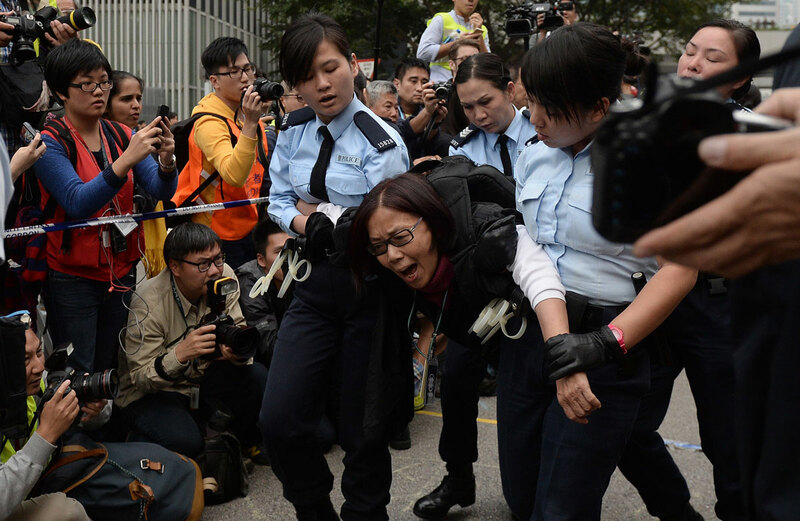 Lai has come under the scrutiny of Hong Kong's anti-graft agency this year. 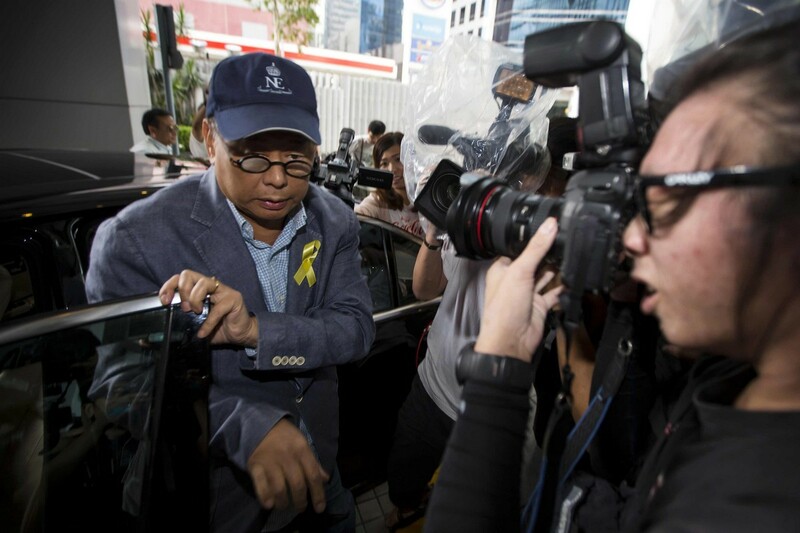 In August, agency officers raided his home, and the following month he went to the Independent Commission Against Corruption (ICAC). 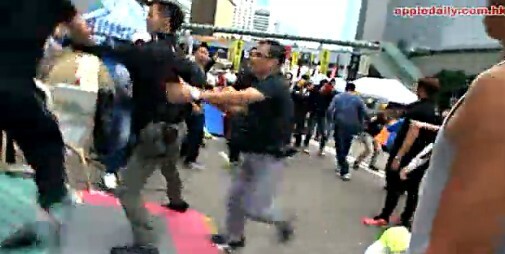 It is common for the agency to call in individuals for questioning as part of its investigations. 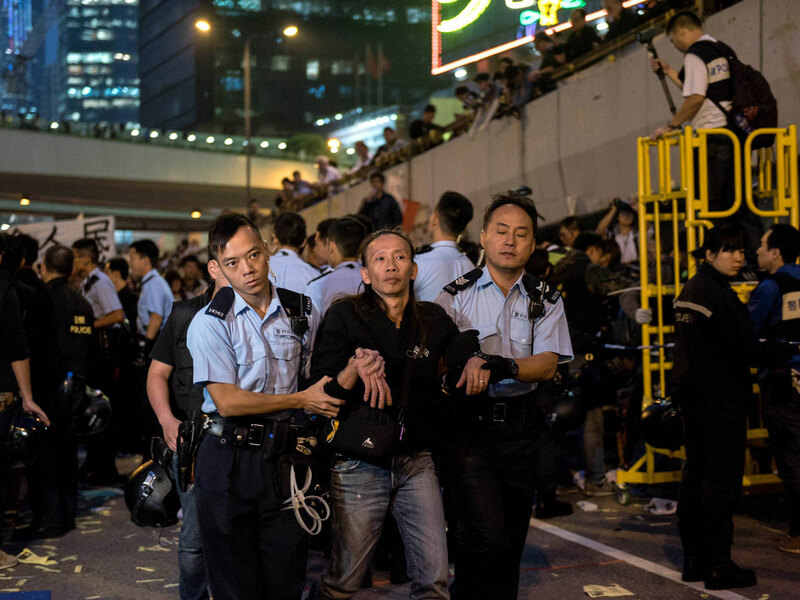 Police reopened the multi-lane highway in downtown Admiralty district on Thursday night after clearing the main protest site, ending one of the most serious challenges to China's authority since the 1989 pro-democracy demonstrations and bloody crackdown in and around Beijing's Tiananmen Square. 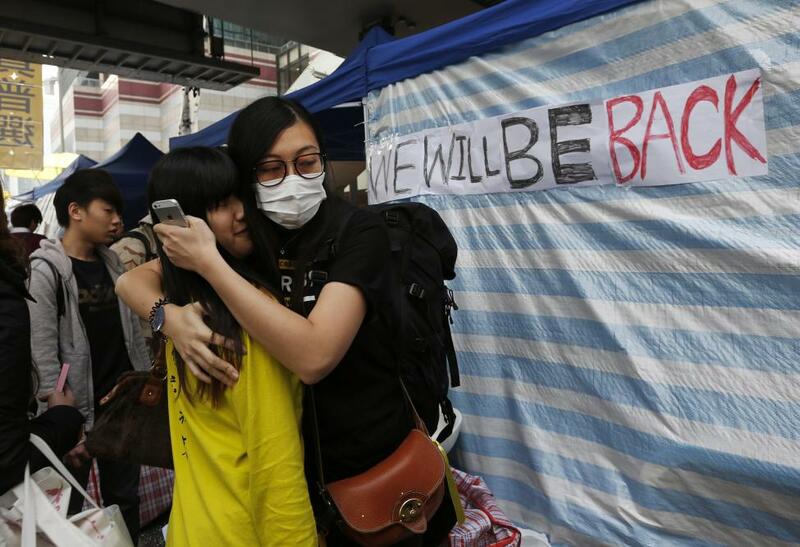 Frustrated retailers whose takings have been badly hit by the protests welcomed the resumption of business. 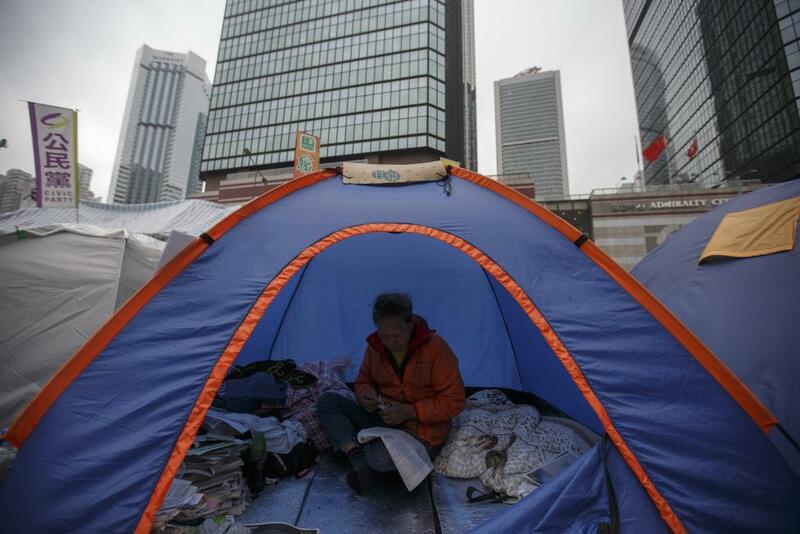 "I'm glad it's over, I can take a breather," said 60-year-old Sammy Wu who owns a tailor shop in a plaza adjacent to the main protest site near the city's administrative headquarters. 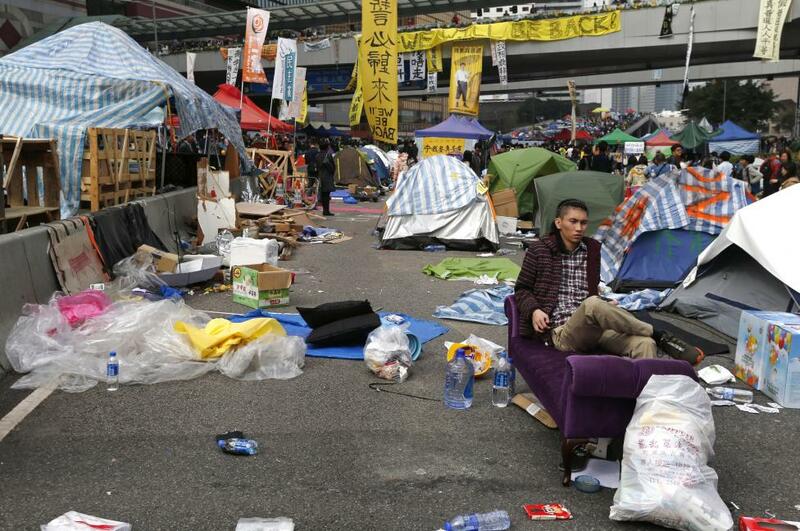 "Our business fell 50 per cent during the occupy period. 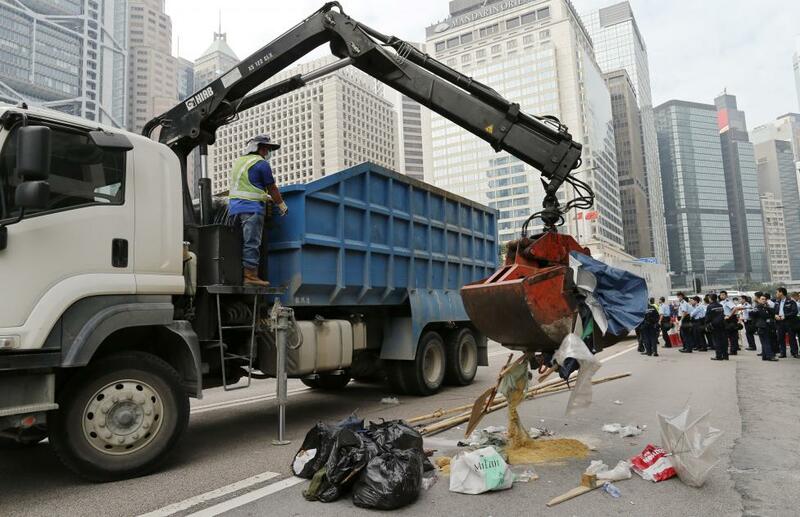 Now I expect the sales can be up by 20 per cent as compared with last month." 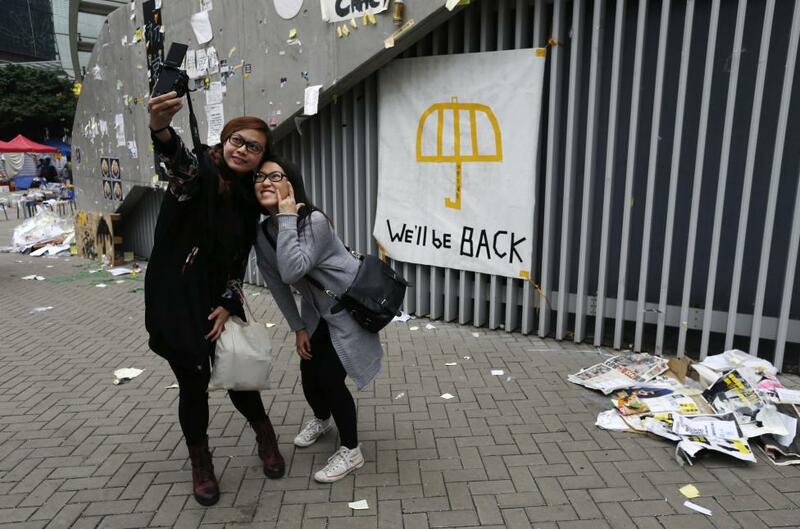 Mainland tourists had shunned Hong Kong, a renowned shoppers' paradise, with tours dropping by up to 30 per cent during the tense standoff between pro-democracy activists and the city's police force. 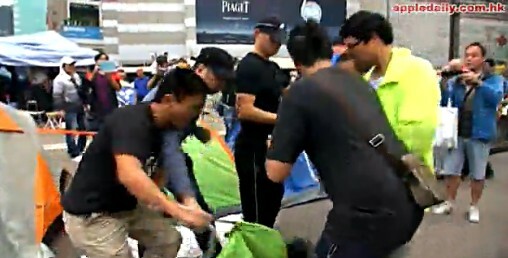 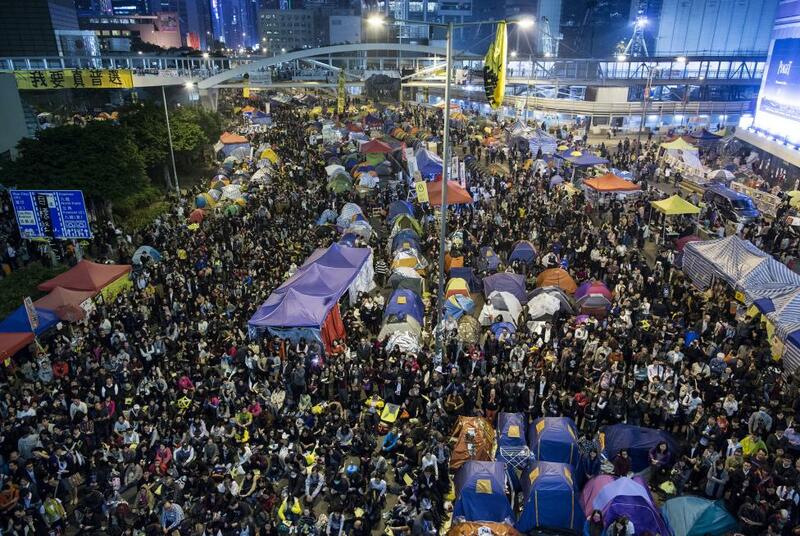 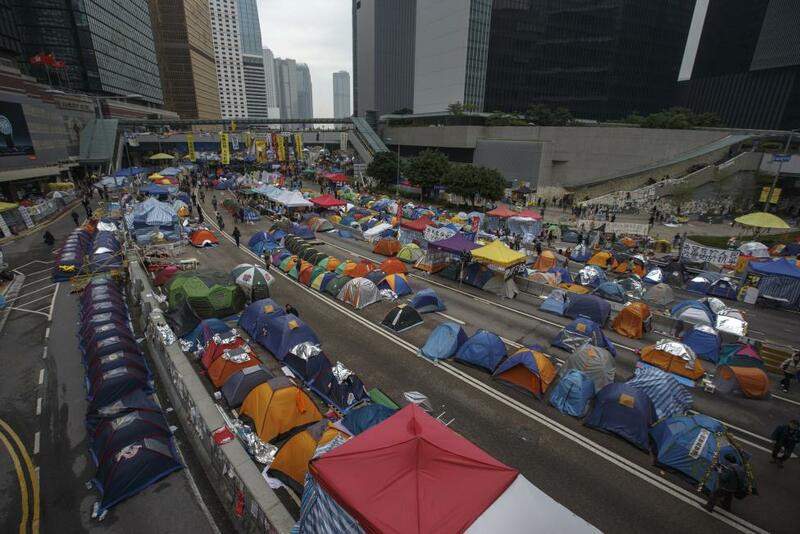 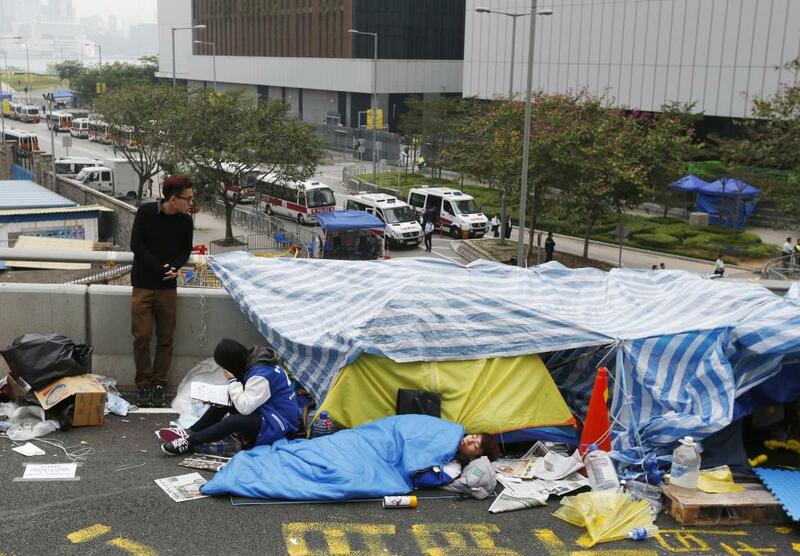 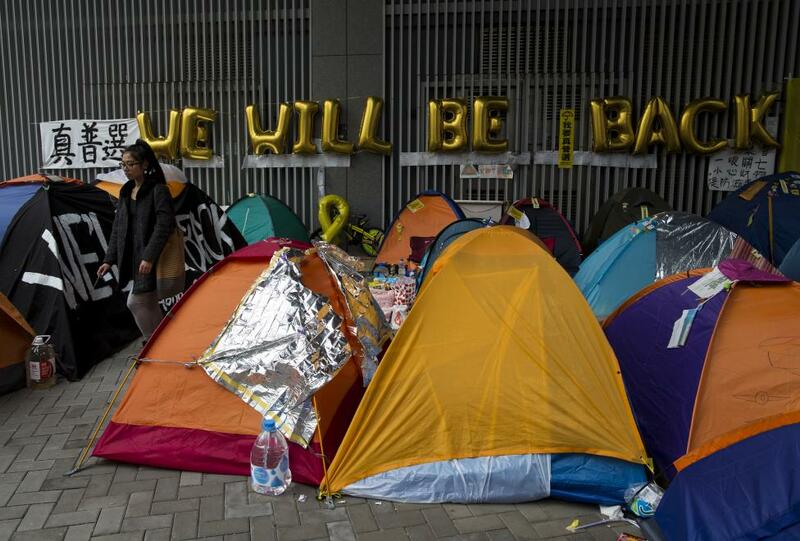 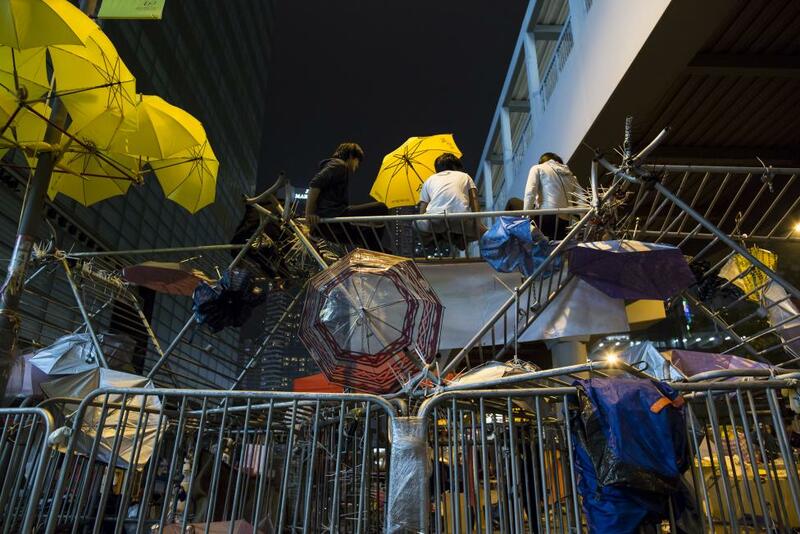 Protesters set up camp on the main road in the Admiralty district in September, locking down the area and causing traffic chaos. 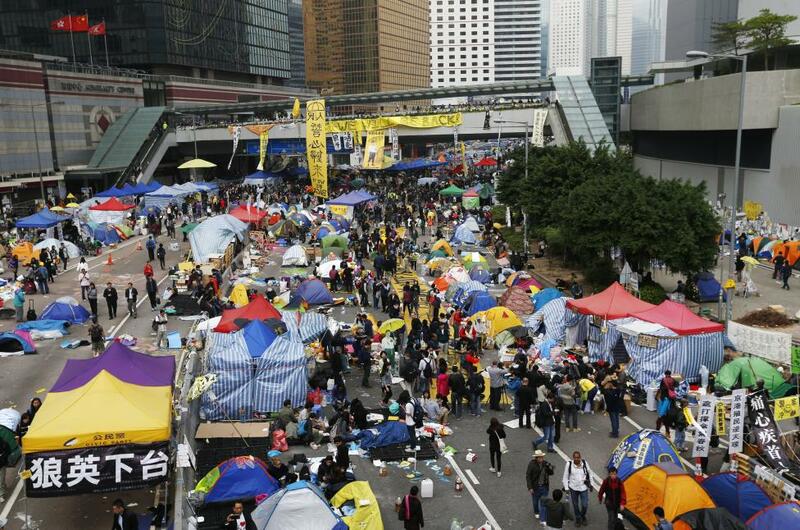 On Friday, taxi, buses and trucks were seen driving down the main thoroughfares, past government buildings and the city's PLA headquarters, where thousands of brightly coloured tents and large scale art installations had been dotted.